Rose McGrory Social Media Management - Facebook in 2017 – Social Media or Advertising Platform? Just a quick note today on an interesting conversation we had with a new client recently. We were helping them put together a strategy for their startup business, and really were beginning with a blank slate. Without the luxury of existing customer mailing lists (or even existing customers!) we had to start with a targeting campaign on Facebook to build some awareness in their local area. So far, so standard. Later in the conversation we were talking about “business as usual” social media, and the client was asking at what point they should reduce the Facebook budget and start working on all that engagement and organic growth they’d heard so much about in the past. At which point, we ran through the usual primer on the Facebook algorithm, and the likely reach they’re going to achieve in 2017 if a post is left to its own, organic, devices. “But“, said our client “in that case, what is the advantage to me of building that audience? I’m going to be paying Facebook each month in order for anyone to see my content, regardless of whether I’ve recruited any particular prospect to my Facebook page or not“. Which, we have to say, is a fair point in some ways. Actually there is an advantage to getting interested prospects to Like your Page, and it is still well worth while doing that: at the very least, when you then pay to boost a post to your existing Likers, you at the very least know that close to 100% of those seeing it should have some interest. Whereas using any other method of targeting it’s a “best guess” as to how likely any individual user meeting those criteria is to be interested in what you do. Her query though, did raise an interesting point, which is the degree to which the emphasis of Facebook marketing has shifted from engaging content, conversation, and relationship building, to ever more sophisticated ways of making the most of your Facebook advertising budget. The restrictions on accessing your Facebook audience caused by the more recent versions of the algorithm, make an emphasis on ongoing conversations almost redundant. Unless you are paying to boost every single post to your Likers, most people are not going to see most of what you post. And rightly or wrongly, for most businesses, the content they are prepared to pay to extend the reach of tends to be the kind that has a closer relationship to the bottom line – announcements about a seasonal sale or a new product, rather than a funny meme related to their sector. With hindsight, this has significantly affected the way that businesses use Facebook in the last year or two. 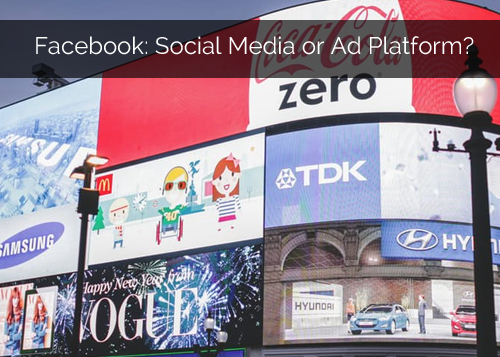 We’d even go as far as to say that with a good understanding of the Facebook advertising suite, businesses can and do use it primarily as an advertising platform. A uniquely powerful one, for sure, with unique ways of targeting and magnifying their message. But still, compared to the “be social. 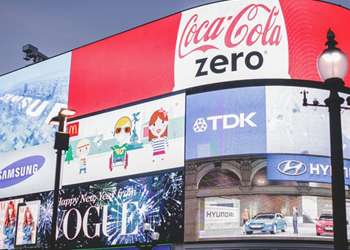 it’s like being in the pub with your clients” message that underpinned most Facebook marketing strategies five years ago, how far have we come?